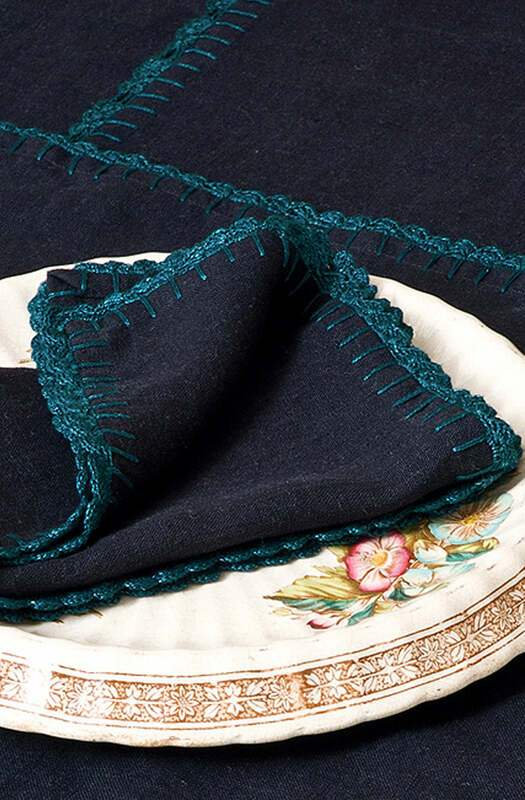 100% indigo linen finished with hand crocheted peacock edging. 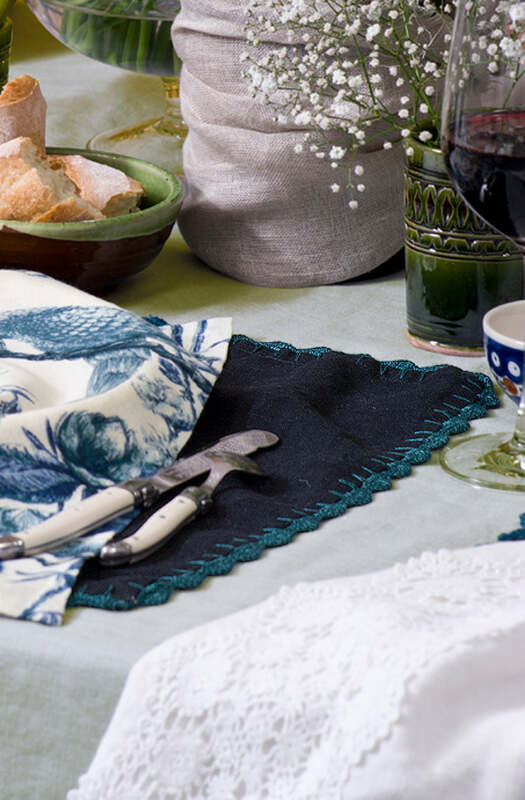 Designed to layer perfectly with Serenata and Villotte this tablecloth is also available in table runners, placemats and napkins. 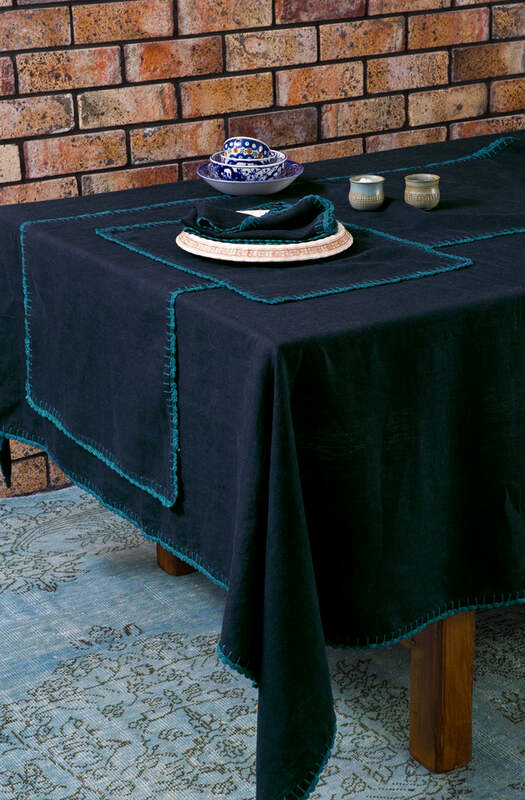 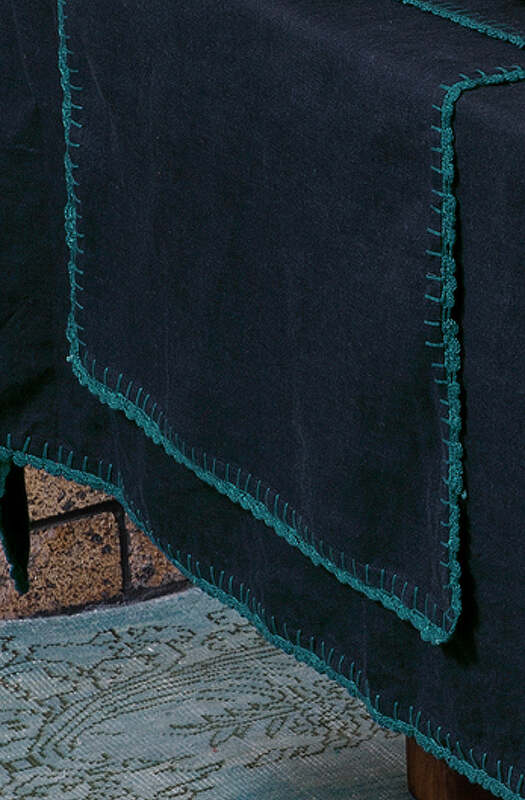 Please send me a sample of the following swatch for torelli tablecloth.